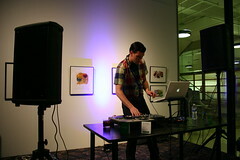 Tonight we held the second Launch Party here in Edmonton at the old Art Gallery space in Enterprise Square (you can read my recap of Launch Party 1 here). With over 200 people in attendance, awesome startups, and that signature Startup Edmonton vibe, I’d say the event was a big success! If you haven’t already done so, I strongly recommend you check out Doug’s preview of the companies at Launch Party tonight. It’s a great rundown of what everyone is working on. 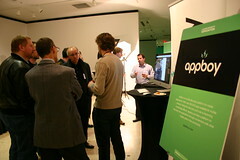 Each company had a table tonight to demo their products and to chat with attendees. They also had the opportunity to make a short elevator pitch in front of the whole crowd (though due to the space configuration, I know some people couldn’t hear, sorry about that). Some of these companies you may have already heard about, such as Fluik or Smibs.tv, both of which were recently written up in the Edmonton Journal. Others, such as Robot Rhythm, have been flying under the radar but are on to something really interesting. Either way, Launch Party is a great way for these companies to showcase some of the really innovative work that is happening right here in Edmonton. 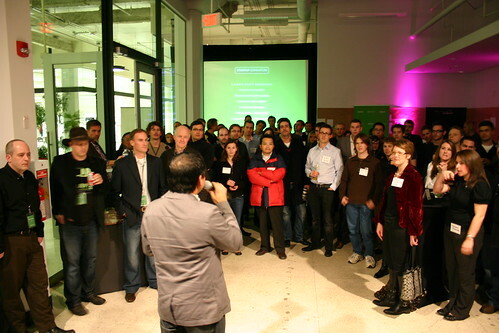 Launch Party is also a great opportunity for the companies to practice their elevator pitches. 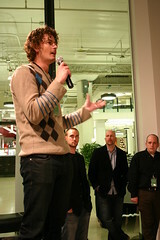 The space was a little tighter than it was at Launch Party 1, which made saying hello a necessity! Drinks, music, and great company made the evening an enjoyable one for everybody who braved the first onslaught of winter to attend. 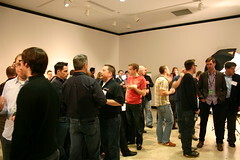 Thanks to everyone who came out tonight to support Edmonton’s thriving tech scene. 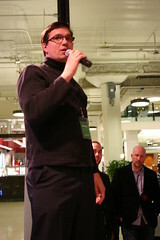 For more on Startup Edmonton and to find out about future events, check out the website. You can also follow us on Twitter and on Facebook. You can see the rest of my photos from the evening here.